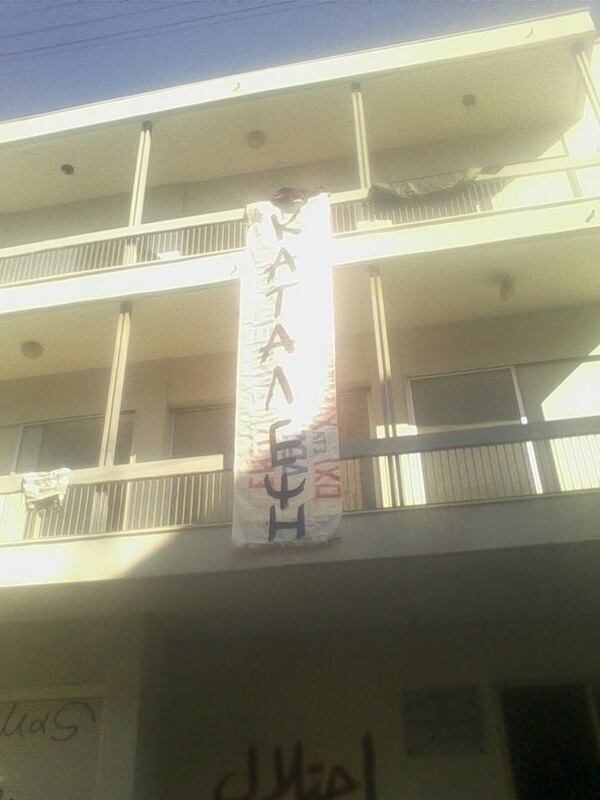 Yesterday (7/11) in Mytilini migrants occupied one building in the center of the town close to the port. The building was the old “workers’ center” of the town, but the last years was closed. The last days thousands of people were living in the port and in the streets waiting for the ships (the ships workers were on strike). This is a self-organized initiative by migrants and local groups are there to support them. So, all that we do appears so little, but so necessary in the same time. 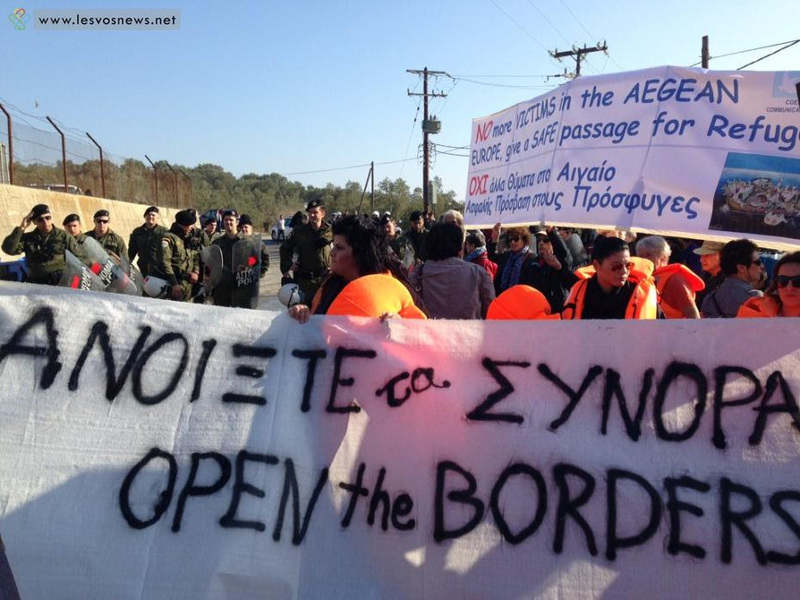 The Greek government is determined not to take the Evros fence down. Instead, they want to start negotiations with the Turkish government, in order to come into an “arrangement”, that has been suggested by high EU officials. Three days ago, prime minister Alexis Tsipras escorted Martin Schulz (President of the European Parliament) to a visit in Lesvos island. 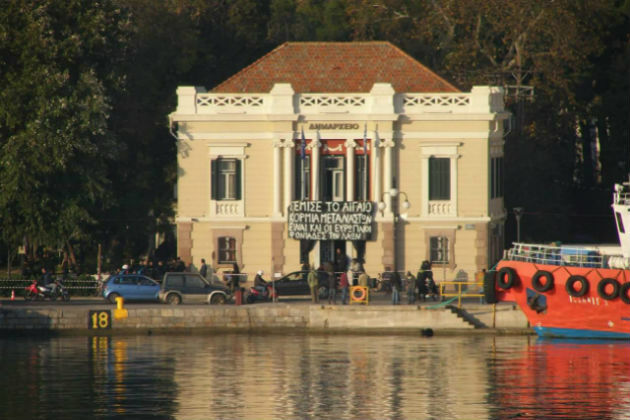 Local anarchists occupied the city’s town hall and raised a big banner saying: “The Aegean is full of migrants’ dead bodies. Europeans too are peoples’ murderers” (paraphrasing a well known leftist “anti-American” slogan: “Americans, you peoples’ murderers”). When Tsipras and Schulz arrived in the island, other protesters were also waiting them. 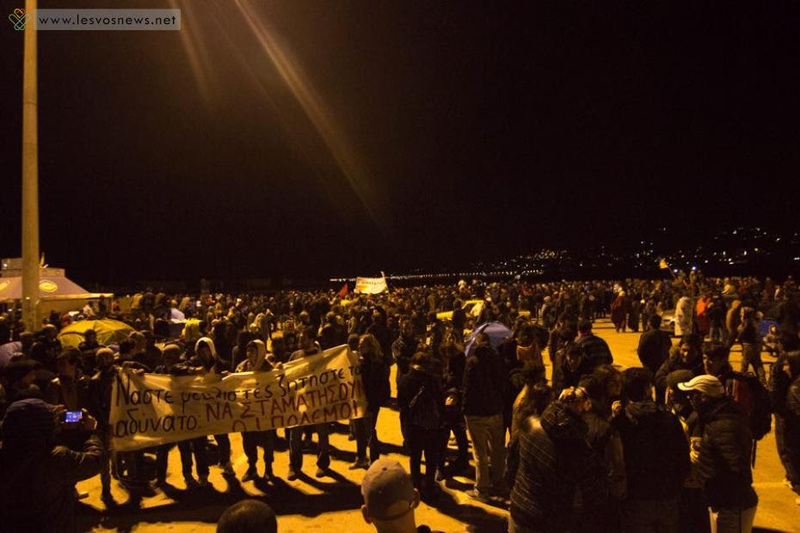 The movement in Lesvos island had also joined the October 31 protests: Anarchists and radical leftist had a big demonstration in which many immigrants participated. 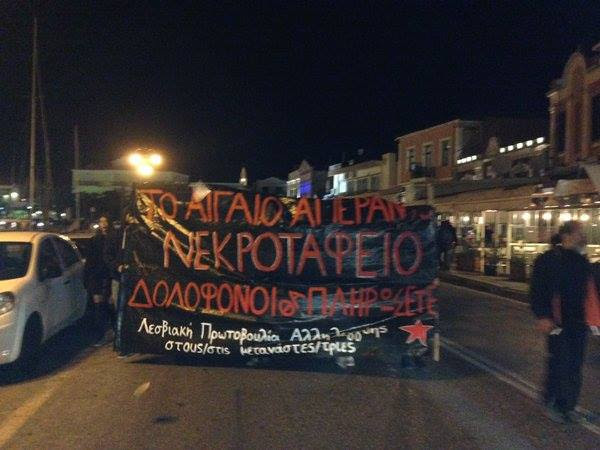 In this protest the same as in the Evros one happened: Syriza members were not accepted. Last Friday, in another “front”, Athens, a crowd of 400 comrades canceled the protest that a fascist “neighborhood committee” has called against the presence of immigrants in Victoria square. Many immigrants use this square as an one or two day stop on their way out of Greece. Athens fascists have tried to create anti-immigrant hysteria among the neighbors, but with little success: yesterday only 40 people responded to the fascist call, while the antifascist one was joined by more than 400 comrades. Now the next “big thing” (after Evros protest) will be a demonstration in Athens, on November 21. In the same time, local protests and info events are organized all over Greece (yesterday in the city of Veroia, on November 10 in Patras and Herakleion, but also in neighborhoods of Athens and smaller towns, like Edessa). This entry was posted on 8 November 2015 at 1:26 pm	and is filed under uncategorized. You can follow any responses to this entry through the RSS 2.0 feed. You can leave a response, or trackback from your own site.